The Orchid Show and Sale, held every Columbus Day weekend at the US National Arboretum kicks off Saturday Oct 6 and runs through Monday. This year marks the 65th Annual Orchid Show put on by members of the National Capital Orchid Society. The show features hundreds of orchids in bloom, the likes of which you will not see for sale at your local grocery store. And if you want to add a few of these beauties to your collection, you’ll find a sales tent with many different types of orchids for sale, and experts who can help you choose. 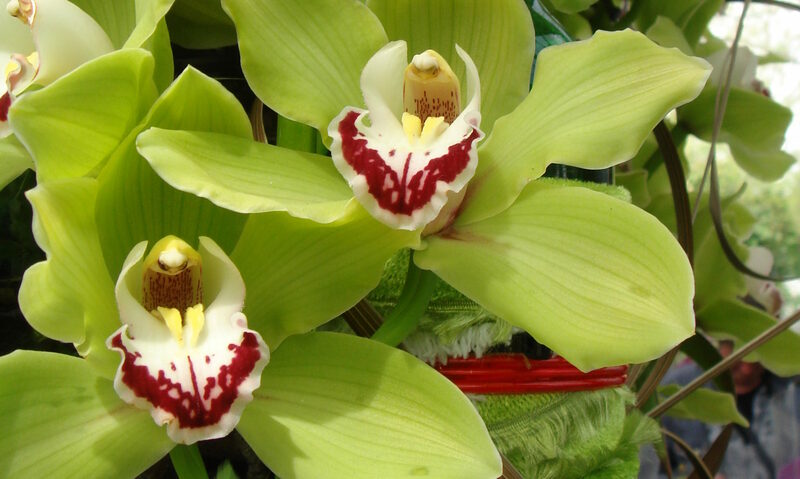 Enjoy a dazzling display of orchids in Washington D.C this Columbus Day weekend. This fall tradition brings thousands of orchids in bloom, and visitors, to the U.S National Arboretum. There is a also a sales tent where vendors from around the nation offer many orchids that you won’t find in your local grocery store. Members of the National Capital Orchid Society (NCOS) are also on had to give tours and answer any questions you many have on orchids. Better still, attend one of the many free orchid growing workshops offered and and then select some orchids to take home with you from our sales tent. I’ll be giving a talk on Saturday at 1.45pm on ‘5 Secrets to Great Orchid Growing;’ come find out what they are! The entrance to the Arboretum is at 24th and R Street, NE, not the New York Avenue address. For more information visit the NCOS website. If you’re an orchid nut, and looking to to add plants to your collection, get there early on Saturday. However, there are enough orchids to suit everyone’s taste, so even if you get there later in the day, you’ll still find something you like. I found the slipper orchid pictured above left well into Saturday afternoon after the best stuff had supposedly been ‘picked over.’ Read my orchid website post on how to buy orchids so you can make your way through the sales tent like a pro. If you want to enjoy the displays, then Monday is usually the quietest day .. Photograph rare and exotic blooming orchids set in spectacular museum-quality displays without the worry of crowds or space to set up your tripod. The fee per session is $12 (Friends of the National Arboretum (FONA) $10). You can register on the NCOS website. You can also sign up to become a member of the National Capital Orchid Society at the show. Meetings are held monthly at the arboretum and feature a guest speaker as well as a show table with hundreds of orchids in bloom. Here are some photos from last year’s NCOS Show to whet your appetite.